invasive alien plant species in Indonesia. The book includes 362 plant species from 73 families that was collected and identified from all over parts of the region in Indonesia. 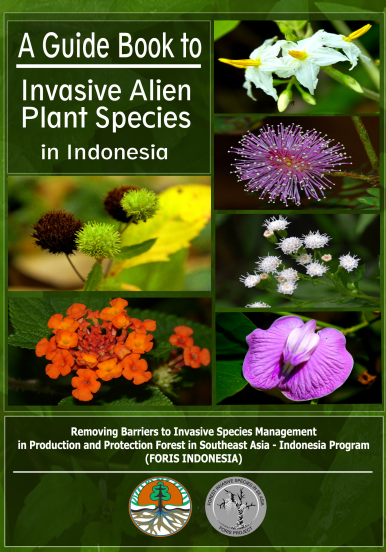 This book may represent the first phase of mapping the distribution of invasive alien species project, Removing Barriers to Invasive Species Management in Production and Protection Forest of South East Asis (FORIS), which was officially started on September 2012 and will be ended in December 2015.
damaging to the environment and causes problems.